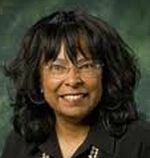 Constance Hilliard is an Associate Professor of History at the University of North Texas, specializing in the Middle East & Africa. She received a Ph.D from Harvard University and has done research work in West Africa and Egypt. As an Arabist she has translated original manuscripts, from a literary tradition that evolved around Timbuktu in the 16th centuries to the Sufi poetry of Dhu al-Nun of Nubia. In the early 1980s, Professor Hilliard served as foreign policy adviser to the Chairman of the Senate Armed Services Committee. She has also worked as a journalist, writing international editorials for the Dallas Morning News, and later as a businesswoman in Kuwait.